ARCHITECT@WORK, a carefully curated annual two-day trade event aimed at architects, interior designers and specifiers, will move to Old Truman Brewery in Shoreditch for the seventh London edition from 30th to 31st January. The two days include free admission for registered trade visitors and complimentary catering throughout, encouraging networking and downtime as well as deal-making opportunities. There are many aspects to consider when designing a building – from the building system and sustainability to ongoing performance and costs. With numerous routes to take along the design and construction journey, selecting the core structural solution is one of the most important decisions. 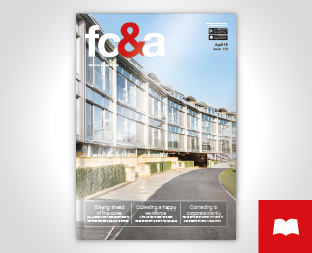 Andrew Carpenter, Chief Executive of the Structural Timber Association, offers his perspective on how to select the optimum building solution to meet the budget and specific needs of the client. Andrew Cooper, Lining Sales Manager from Firestone Building Products, discusses the pond refurbishment carried out at Horizon Scotland, a business incubator at Highlands and Islands Enterprise’s flagship Enterprise Park Forres in Moray. Tracey Bamber, Managing Director of Zip Water UK, discusses the role that a drinking water system plays in a commercial building’s sustainability credentials.